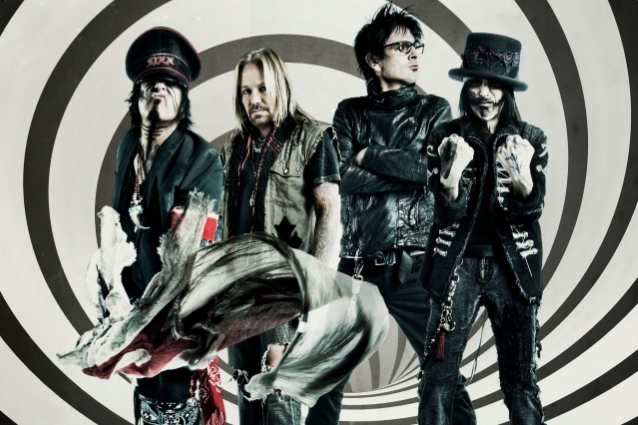 According to The New Orleans Advocate, MÖTLEY CRÜE and Netflix are being sued by a crew member over severe electrical burns he sustained last year on the set of the band's biopic, "The Dirt". Louis DiVincenti, a rigging grip, claims that a power line shock left him with second- and third-degree burns over 50 percent of his body. The incident occurred in March 2018 as the set had been transformed to look like the legendary Hollywood rock club Whisky A Go Go. DiVincenti says that one of the metal pipes he was handling made contact with a power line, sending electric current through his body. "Even though all of our safety protocols were in place, an accident did occur and a crewmember was injured by electricity," a rep for the film told The Hollywood Reporter shortly after the accident happened. Filming wasn't interrupted, because the cast was off shooting somewhere else while DiVincenti was tearing down a set that was no longer needed, the rep said. DiVincenti is seeking damages, including $1.8 million in medical bills. "The Dirt", an adaptation of the book of the same name about the iconic rock band, had been in the works since 2003. It was previously set up at Paramount and Focus Features before Netflix picked it up in 2017. In the film, Iwan Rheon ("Game Of Thrones") stars as guitarist Mick Mars, Daniel Webber ("The Punisher") as frontman Vince Neil, Douglas Booth as bassist Nikki Sixx and rapper Machine Gun Kelly as drummer Tommy Lee. Jeff Tremaine ("Bad Grandpa") directed.